They say that to be successful you must identify a need and satisfy it. Back in 1968 racing enthusiast, Gary Holzapfel saw that many of his friends’ broken engines were caused by fastener failure. At the time, there were no commercially available studs and bolts up to the challenge. 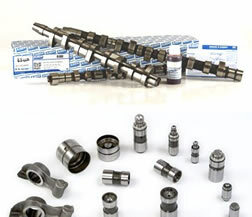 So Holzapfel called upon his many years of fastener making experience for a leading aerospace subcontractor and founded ARP® (Automotive Racing Products). 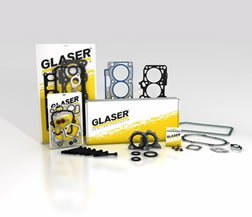 Today, the product line contains thousands of part numbers and has expanded to include virtually every fastener found in an engine and driveline. 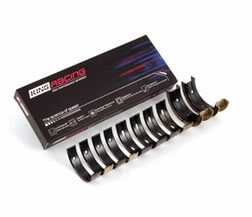 These range from quality high-performance OEM replacement parts to exotic speciality hardware for Formula 1, IndyCar, NASCAR and NHRA drag racing and marine applications. As a matter of fact, ARP’s customer list reads like a “who’s who” of motorsports around the world. In the past several years, virtually every major championship on the planet has been won with engines prepared by customers. And so it goes. 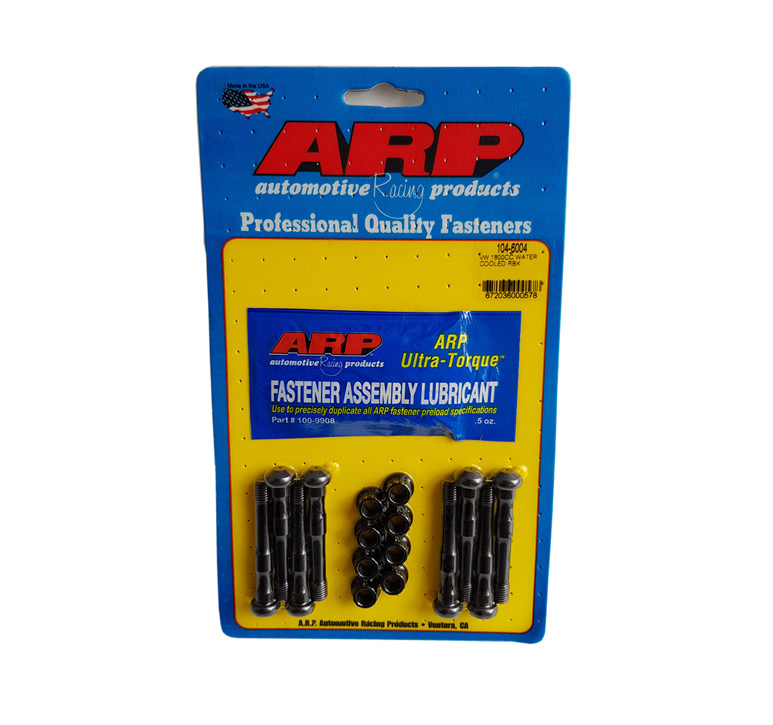 ARP works closely with many, many teams as a supplier of engine and driveline fasteners, and has clearly become recognized as “the” preeminent source for serious racers. If you need to source ARP Fasteners UK, please get in touch and we can provide a competitive quote with next day delivery. Until the development of today’s modern alloys, chrome moly was popularly considered a high strength material. Now viewed as the only moderate strength, 8740 chrome moly is seen as a good tough steel, with adequate fatigue properties for most racing applications, but only if the threads are rolled after heat-treatment, as is the standard ARP production practice. Typically, chrome moly is classified as a quench and temper steel, that can be heat-treated to deliver tensile strengths between 180,000 and 210,000 psi. ARP2000 is an alloy steel that can be safely heat treated to a higher level, producing a greater strength material than 8740. While 8740 and ARP2000 share similar characteristics – ARP2000 is capable of achieving a clamp load at 220,000 psi. 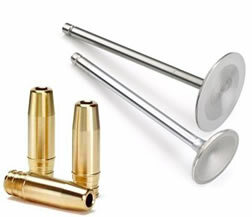 ARP2000 is used widely in short track and drag racing as an upgrade from 8740 chrome moly in both steel and aluminium rods. Stress corrosion and hydrogen embrittlement are typically not a problem, providing care is taken to protect the parts from moisture and the parts are kept well-oiled. This is a premium steel that is processed to deliver superior strength and fatigue properties. L19 is a very high strength material compared to 8740 and ARP2000 and is capable of delivering a clamp load at 260,000 psi. 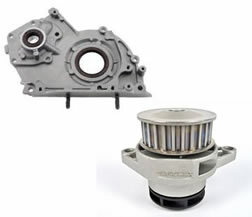 It is primarily used in short track and drag racing applications where inertia loads exceed the clamping capability of ARP2000. Like most high strength, quench and temper steels – L19 requires special care to avoid hydrogen embrittlement. This material is easily contaminated and subjected to stress corrosion. It must be kept well-oiled and not exposed to moisture. 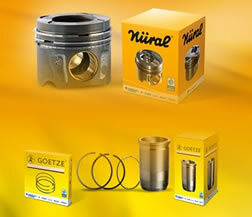 A nickel-based material that is in the high temperature, super-alloy class, it is found to be equally suitable in lower temperature applications. This material delivers tensile strengths in the 210,000- 230,000 psi range and exhibits improved fatigue properties. Best of all, Inconel 718 is completely immune to hydrogen embrittlement and corrosion. While similar to Inconel 718, these super-alloys are found in many jet engine and aerospace applications where heat and stress attack the life of critical components. The high cobalt content of this alloy, while expensive, delivers a material with superior fatigue characteristics and typically tensile strength in the 260,000-280,000 psi range. The immunity to hydrogen embrittlement and corrosion of these materials is a significant design consideration. 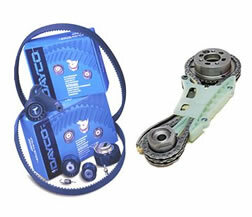 These materials are primarily used in connecting rods where extremely high loads, high RPM and endurance are important factors – Formula 1, NASCAR and IRL applications. ARP now offers special order fasteners made of an alloy (Ti6Al-4V) that is specially heat-treated (a process developed by ARP’s own Russ Sherman) and provides superior strength to other titanium alloys employed in racing and aerospace. The material has a nominal tensile strength of 180,000 psi and is very corrosion resistant. The main advantage of titanium, of course, is its weight – which is about 40% lighter than a comparable fastener made of steel. 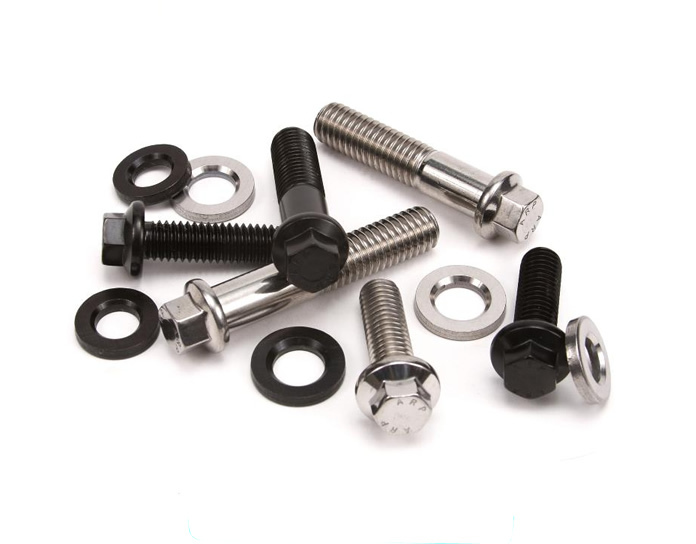 Head studs and accessory arp bolts are ideal applications for this lightweight material.